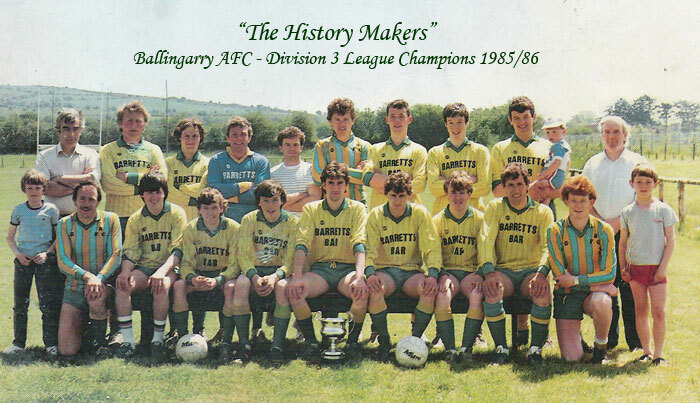 When Ballingarry AFC won the division three league title in 1985/86 it was hailed at the time as being a major achievement by a club that had been formed just a year previous. 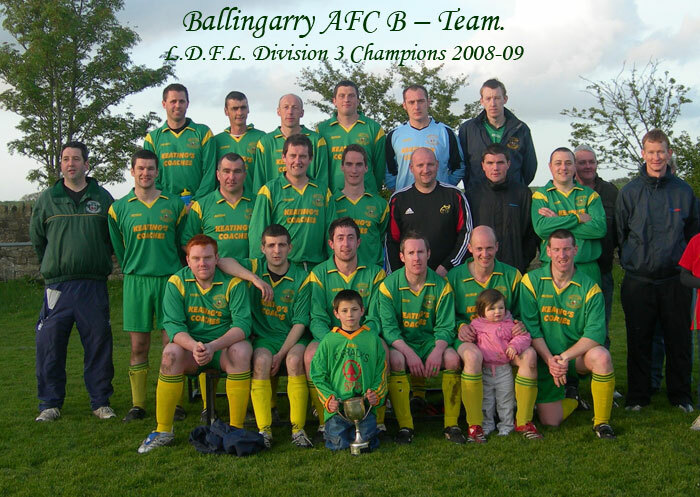 It was then, and always will be remembered by the squad who brought that title to Ballingarry as one of the greatest occasions in the clubs history simply because it was the first trophy won by the club and because it was a title race that went to the last game of what was a tremendously exciting season which saw Ballingarry, Deel United B and Athea United in contention to the very end. 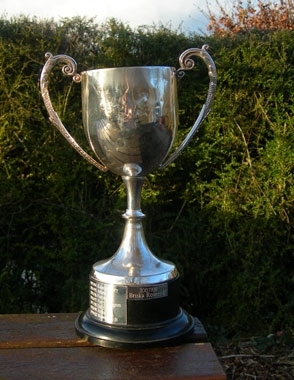 During the days of two points for a win and when the league was called The Desmond District League, it was also the inaugural division 3 championship, a division that held 14 teams producing 26 league games of which Ballingarry dropped just six points which included just two losses. 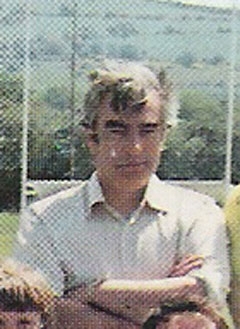 It was also a season when Ballingarry played their home games on a pitch at the Rylands (behind The Grove) supplied by the late Bernard Sheehy. Going into the last game of the season and having defeated Athea United in the penultimate game (1-0 at Athea) which effectively eliminated United from the race, Ballingarry had to travel to Rathkeale for their final game two points behind Deel United B who Ballingarry now faced at Holycross. It produced an epic game in front of a huge crowd that eventually saw Ballingarry crowned champions with goals from James Higgins (Pic 1 above) (from a penalty), an equalizer for Deel by PJ Wall also a penalty and finally a winning goal from John Clancy (Pic 2 above). Club captain Joe Burke (Pic 3 above) was sadly injured for this the defining game of the season leaving John Murphy (Pic 5 above) to write his name into the history books as the first man to lift a trophy for Ballingarry AFC. 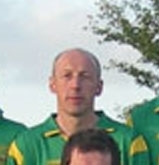 Ballingarry managed by Moss McAuliffe and Moss Doody (Pics 6 & 7 above) used just eighteen players scoring a whopping 66 goals of which Shane Hartnett (Pic 8 above) netted 23. Today this division is called division 2 as from the start of season 1992/93 the Desmond District League changed the names of the divisions. The result being that the 1st division became the Premier division, division 2 became division 1 and division 3 became division 2. When Ballingarry won the Division 3 title again it took 25 years until the clubs B team achieved success in this particular competition. There were several similarities between the two successes. 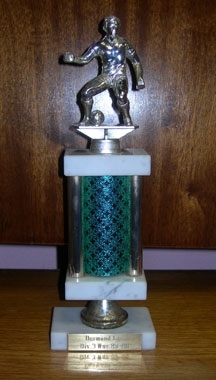 For a start just like it was the first honour to arrive at the club with this title it was the first trophy won by the clubs B team. 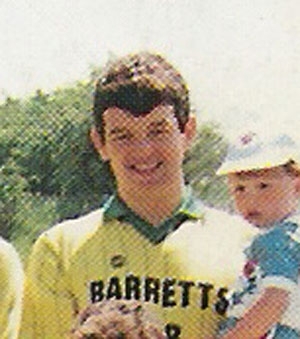 When Brian Fitzgerald (Pic 1 below) lifted the trophy he was following in the footsteps of his father Liam (Pic 2 below) who was a member of the squad of 85-86. 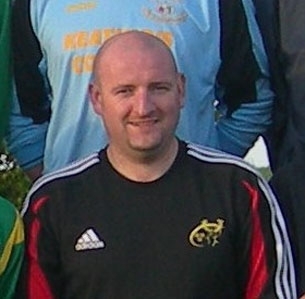 Also, Padraig Forde (Pic 3 below) played a central part in this success just like his brother Noel (Pic 4 below) had with “The History Makers”. 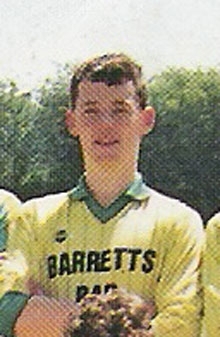 In addition, James Higgins was also linked to both achievements, as a player in 1986 and on the management team of 2008. 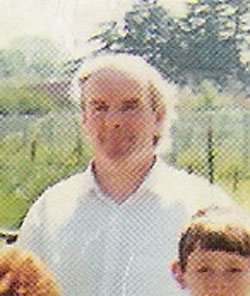 However what is without doubt the most incredible link between both successes is surely the fact that Tom Burke (Pics 6 & 7 above) who was a player during the first success in 1986 was also a player during the 2008/09 triumph. 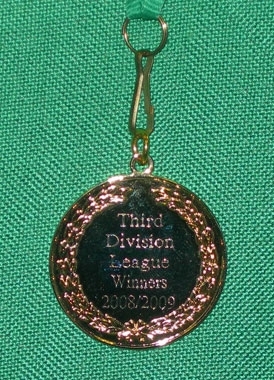 The sides record during the title win obviously made impressive reading not just because of the table topping performances but also because the division consisted of several one team clubs most notable, Ferry Rangers, Granagh United, Creeves Celtic and Rockhill Rovers – all established clubs with large catchment areas. Of the fourteen games they played they dropped just eight points losing just two games the last of which was the last game of the season when the title was secured. 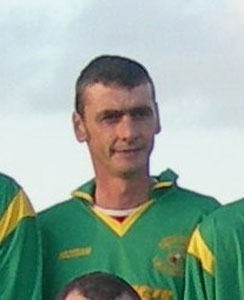 David O’Hanlons (Pic 8 above) ten league goals from a total of 35 games were notable while Brian Fitzgeralds outstanding performances at the heart of the defence earned him the sides Player of the Year award. 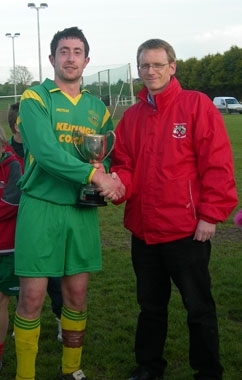 It was also fitting that in a year that Ballingarry AFC would celebrate their silver jubilee that the first trophy to visit Ballingarry all those years ago should revisit courtesy of the clubs B team.